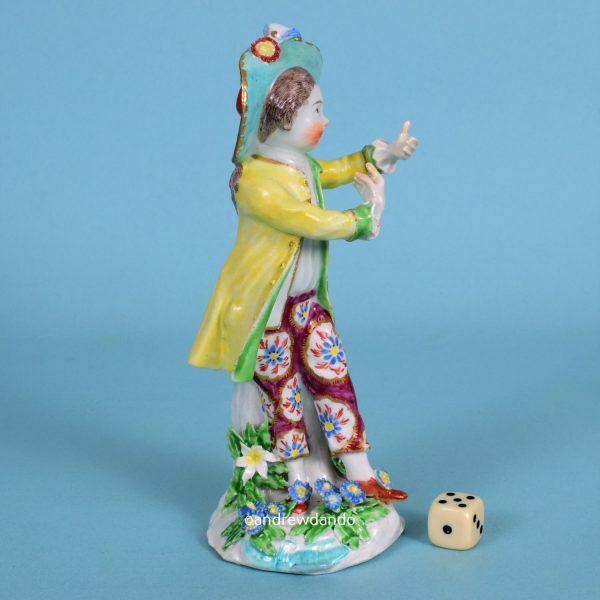 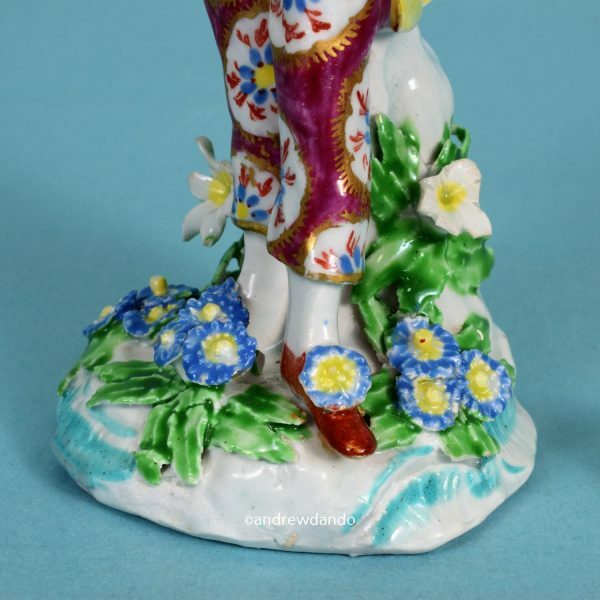 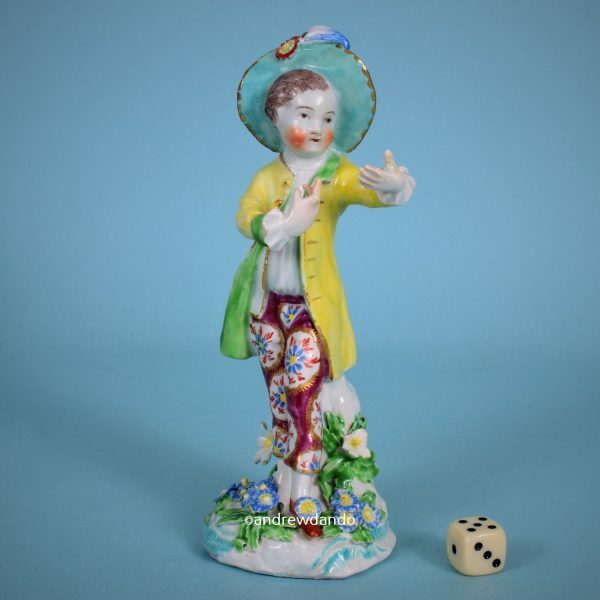 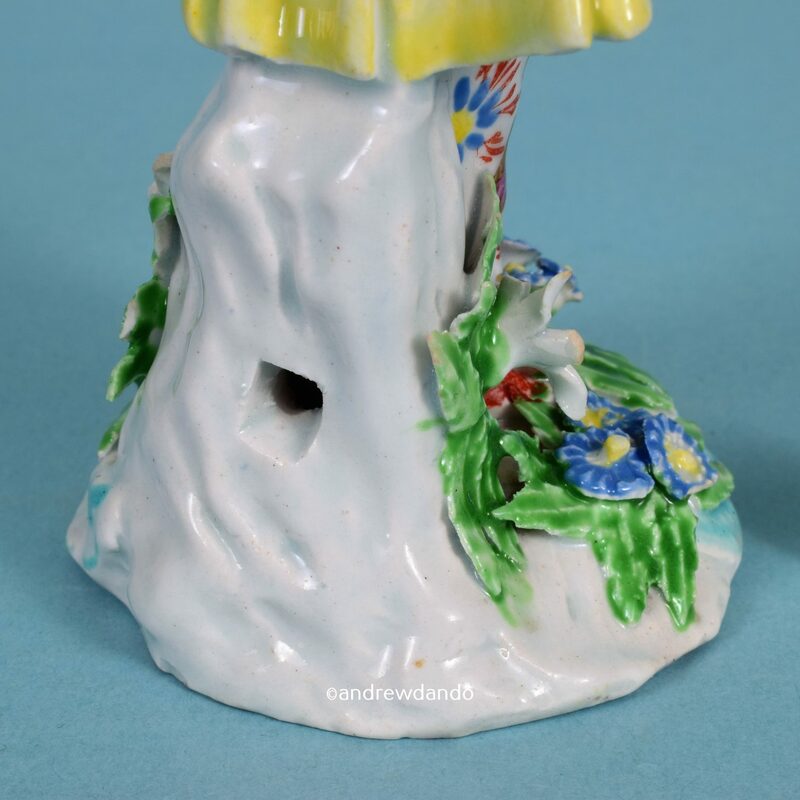 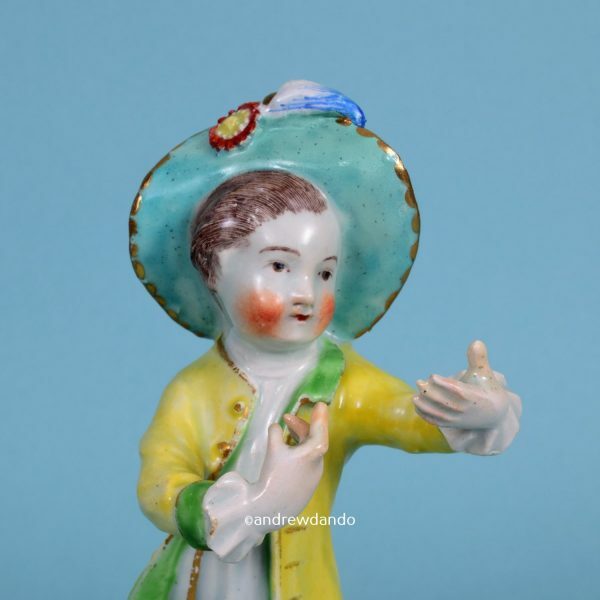 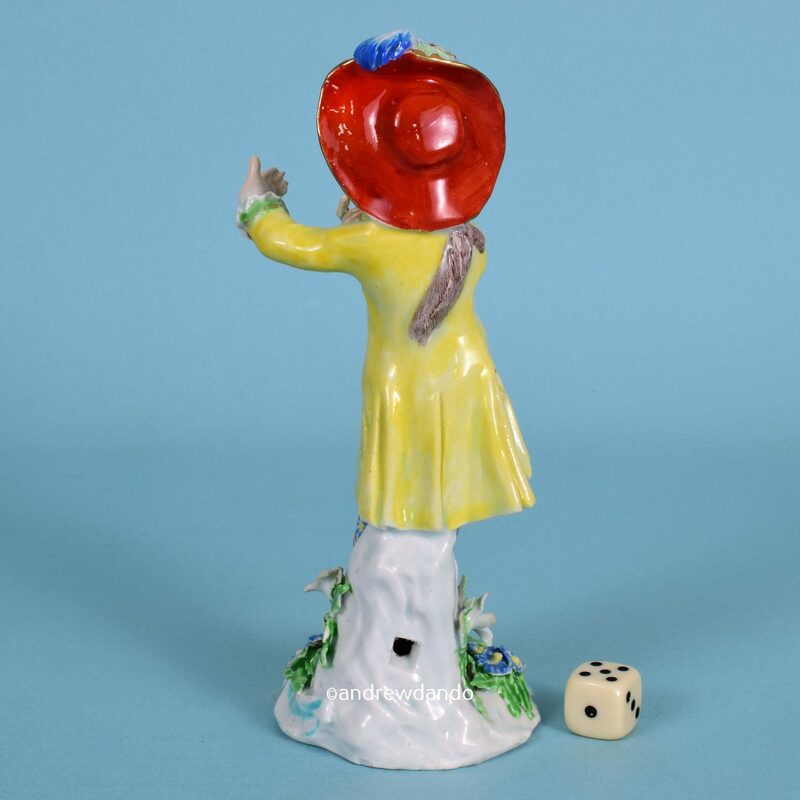 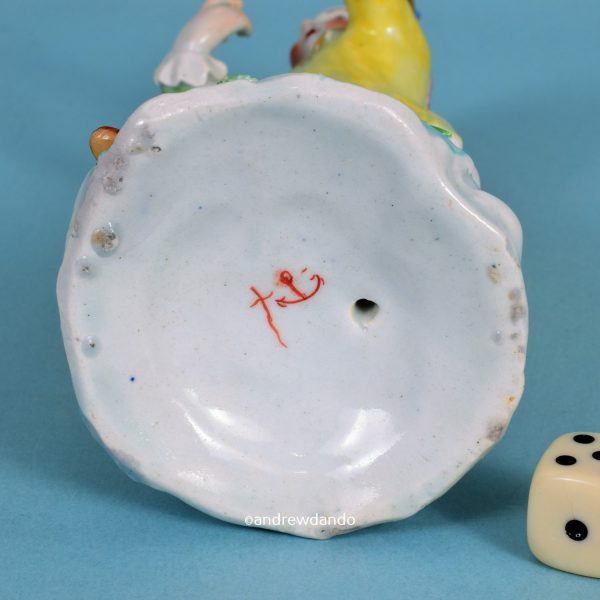 18th century Bow porcelain figure of a New Dancer, the young man standing with arms outstretched, on a pad base decorated with applied flowers & leaves. 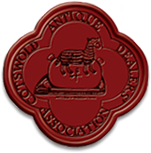 Anchor & Dagger mark in red. Condition : Restoration to fingers & thumbs, toe of left shoe & feather on hat.